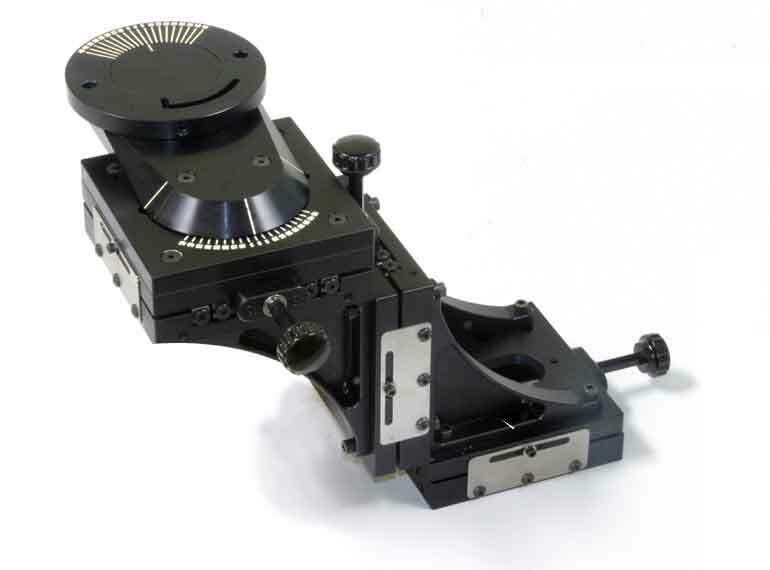 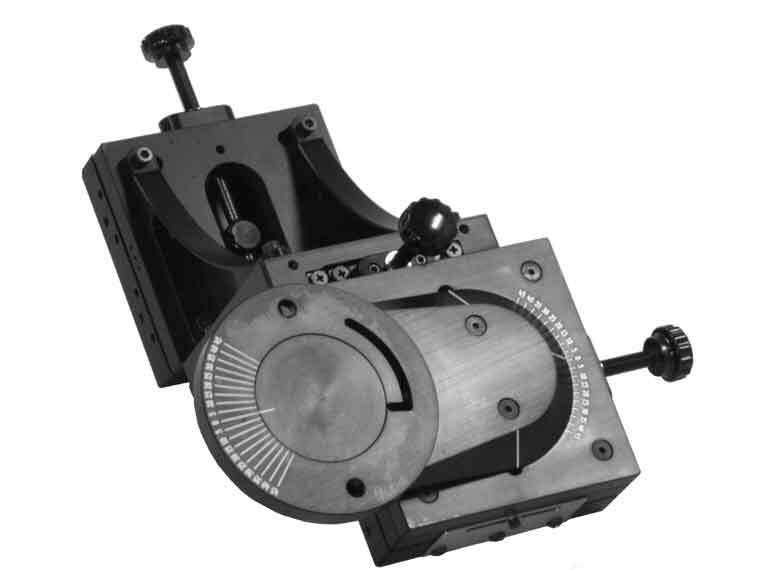 We developed this modular series of manual slides for precise positioning of laser focus heads; however their stability, accuracy, and modularity make them suitable for many other applications. 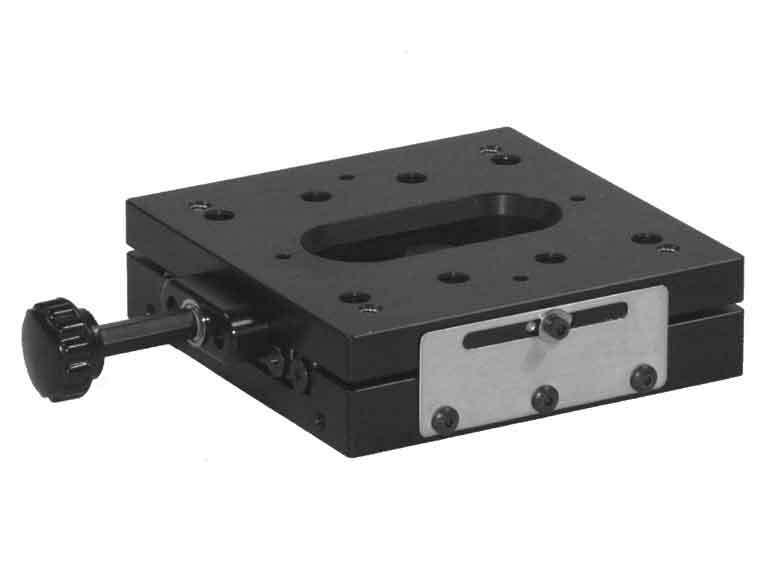 They utilize preloaded crossed roller bearings for maximum stability and smooth motion over the full 1.1 inches of total travel. 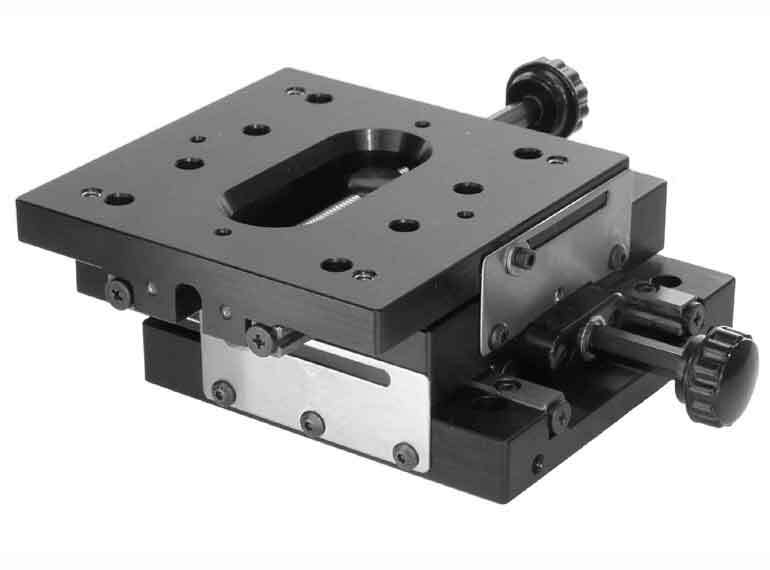 They are available as a single axis, or as an X/Y, but because of their modular design they can be stacked in virtually any configuration with optional swivels and right angle brackets. 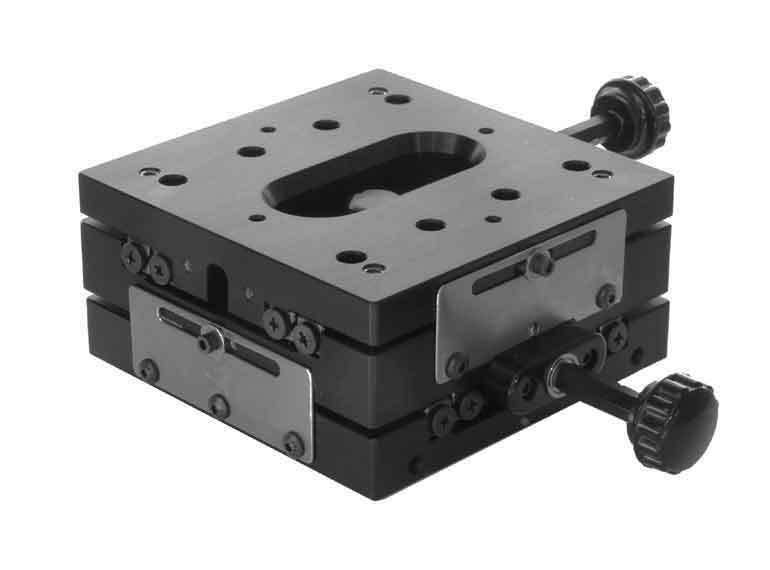 The stages also feature locking brackets that will hold the stage in place without introducing unwanted force that could move the work out ouf alignment. 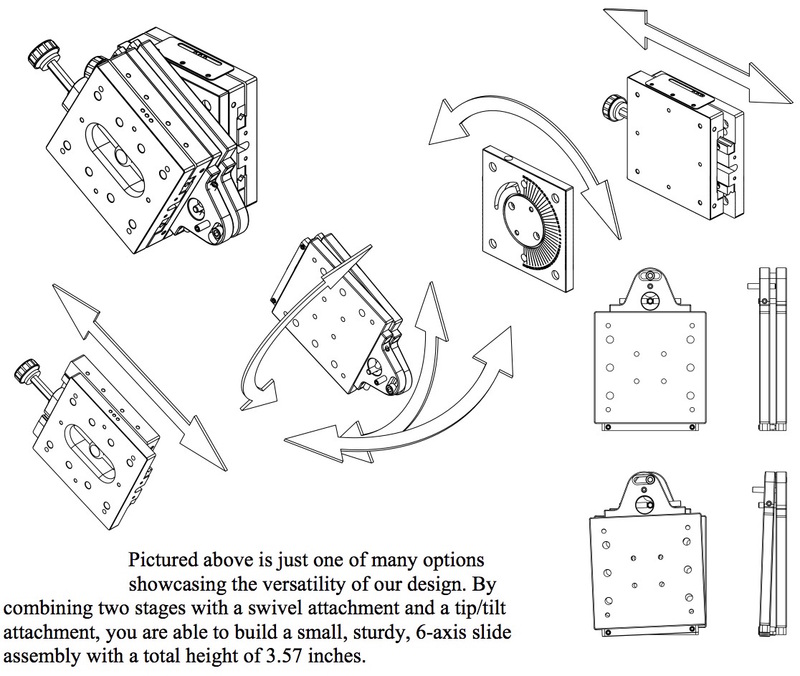 There are Many possible configurations of these slides, and we have shown just a few above.